After a background in barbershop quartets, and as a member of a duo, Lightfoot struck out on his own in the early 60s. He had written perhaps 75 songs, when he was caught up in the country music scene and folk revival of the time; Bob Dylan's music and a song by Merle Travis, Dark As A Dungeon, combined with his sensitivity, inventiveness and beautiful voice, resulted in his unique songwriting and singing style. In less than two years, between late '61 and some time in 1963, his sound and his life changed forever. For more about this early period in Lightfoot's career, read the articles "Early Lightfoot" and "The 1960s". This biography was written by me, a fan, and is not the "official" biography. I would be pleased if you use it to publicize your concert but if you do, please include a link to this page or to the home page with anchor text of "Gordon Lightfoot" or "Gordon Lightfoot Biography". New authorized biography published 9/26/2017! His music was discovered in 1964, when he was performing on the Toronto folk scene; Fellow Canadians Ian and Sylvia chose two of his songs, Early Mornin' Rain and For Lovin' Me for their next record, aptly named for the first song. See the albums Early Morning Rain and the Vanguard boxed set. In addition to the two Lightfoot covers, both also include Steve Gillette's Darcy Farrow, which Lightfoot performed live early in his career, and Ian Tyson's Red Velvet which Lightfoot would record decades later. The Vanguard boxed set also includes Ian Tyson's classic Four Strong Winds. (As an interesting sidelight, the Ian & Sylvia album Northern Journey contains several of their most well known songs, and also Nova Scotia Farewell (aka, Farewell to Nova Scotia), a song that Ian Tyson taught to Lightfoot, and which Lightfoot performed in concert as recently as the 1990s. For those of you lucky enough to hear Gordon perform that tune, hearing Ian's version is a treat, and the influence is clear). Ian Tyson introduced Lightfoot to Albert Grossman, their manager and also the manager of Peter, Paul and Mary, Gibson & Camp (Bob Gibson and Hamilton Camp), and Bob Dylan. Peter, Paul and Mary recorded the same two songs as Ian and Sylvia and enjoyed considerable success with them, getting a Billboard top 100 hit with one of them. (The "Very Best of ..." album, contains both Lightfoot songs, as well as other classic recordings including Don't Think Twice, Blowing In The Wind, Leaving On A Jet Plane, and Noel Paul Stookey's Wedding Song (There is Love), often thought to be by Lightfoot). Marty Robbins recorded Lightfoot's Ribbon Of Darkness, as he says "in Gordon Lightfoot's style", and took it to the top of the Billboard Country charts (see Marty Robbins' 16 Biggest Hits; note that the CD also includes Robbins' wonderful hit, El Paso). Albert Grossman signed Lightfoot and under that arrangement he recorded five albums for United Artists, four studio albums and one live album - the only live album until the 2012 release of All Live. 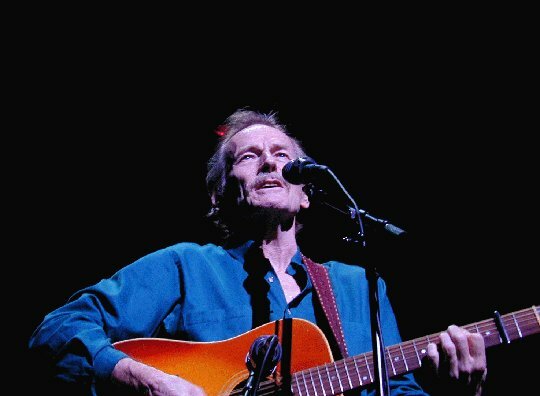 For more about Lightfoot's career in the '60s, read Gordon Lightfoot: A Musical Tour of the 1960s. The five albums Lightfoot recorded for United Artists - Lightfoot, The Way I Feel, Did She Mention My Name, Back Here On Earth, and Sunday Concert (live) - are a must for any fan's collection. Not all of these albums are available individually, but you can get all five in various ways. The popular United Artists Collection includes the four studio albums in one 2 CD set; one of several CDs will give you the complete Sunday Concert album, including the wonderful CD from Bear Family (see link at right for details). At the completion of his contract with United Artists, Lightfoot signed with Warner/Reprise. He split with Grossman at that time and formed his own company, an arrangement that continues to this day. From 1970 through 1998, he released 14 more original albums including If You Could Read My Mind, Summer Side Of Life, Don Quixote, Old Dan's Records, Sundown, Cold On The Shoulder, Summertime Dream, Endless Wire, Dream Street Rose, Shadows, Salute, East Of Midnight, Waiting For You, and his final Warner/Reprise album A Painter Passing Through. Four of them, termed the "Final Four" by fans, were not released on CD until the summer of 2002. In addition, he released two "greatest hits" compilations while signed to Warner, Gord's Gold and Gord's Gold Volume 2 on which a significant number of tracks were new recordings. His most recent studio album, Harmony was released in 2004 on Linus, a Canadian independent label. It has two live recordings from his 2001 Massey concert series, and 9 new studio recordings which he laid down in early 2002 before his almost fatal illness in September of that year. The CD was finished in the studio while he was still recuperating from his near brush with death. A new live album called All Live was released in April, 2012. Although he toured in the US and in Canada during the 60s, his chart appearances were in Canada only. But following his first LP release with Warner Brothers - an album originally titled Sit Down Young Stranger - a disc jockey with a discerning taste in music began to play one of the tracks from that album on the radio. It was not the title song, but the next track, a song titled If You Could Read My Mind. If You Could Read My Mind was Lightfoot's breakthrough on the US charts, reaching #5, and was to become one of the most frequently covered songs in popular music history. It has been recorded by artists across the musical spectrum - country, folk, bluegrass, pop, even disco. In 1998, a dance version was released, sung by three disco divas: Ultra Naté, Amber and Jocelyn Enriquez. But the adaptability of his songs, and his own style, is not limited to this one song. Lightfoot himself evolved from a country/folk sound, to folk/rock, pop, and adult contemporary styles. Yet he is always able to move back and forth among the styles, performing his classics from the 60s (like Early Mornin' Rain, Song For A Winter's Night and Canadian Railroad Trilogy), his hits from the 70s (Sundown, Carefree Highway, Wreck Of The Edmund Fitzgerald as well as If You Could Read My Mind), and material from the 80s, 90s and 2000s with equal ease and credibility. After some harder edged music in the early 80s, followed by a very contemporary sound on his 1986 East Of Midnight album on which he co-wrote, with his friend David Foster, the very beautiful Anything For Love, he returned to his acoustic roots and recorded two albums in the 90s with a sound more reminiscent of his very early recordings. From the 60s until today, many top artists have covered his songs, including Elvis Presley, Bob Dylan (and Lightfoot has recorded his songs as well), George Hamilton IV, Olivia Newton-John, Barbra Streisand, Tony Rice, Nanci Griffith and Sarah McLachlan as well as those mentioned above and other talented artists too numerous to list. His achievements have been recognized in the music industry and in his native Canada. He has five Grammy nominations and 17 Juno Awards (the Canadian equivalent) and was inducted into the Canadian Music Hall Of Fame in 1986. In 1970, he received the prestigious Order Of Canada; in 1997 he received the Governor General's award - the highest official Canadian honor; and in September, 2001, he was inducted into the Canadian Country Music Hall Of Fame. Seven of his albums have gone "gold" or higher in the US; the most recent were Complete Greatest Hits, certified gold in April, 2008, and Gord's Gold Volume 2, certified gold in September, 2001. All of this discussion is mostly about the music, always beautiful, inventive, and performed with perfection at every concert appearance - a tribute to his fine backup band as well as to Lightfoot himself. But it is perhaps his lyrics, and the combination of his words and music, that set him apart from all the others. What is unique about Lightfoot is that he appears to have heightened senses; he sees, hears and feels things that most of us don't; and then he can create the music and lyrics to help us see, hear and feel what he does. Whether it is a love song, or a song of lost love, a historical ballad - which he writes like no other songwriter of the last half-century - or a highly personal song, what he says and how he says it leaves a lasting and often evolving impression as the listener uncovers new layers of meaning in the song. 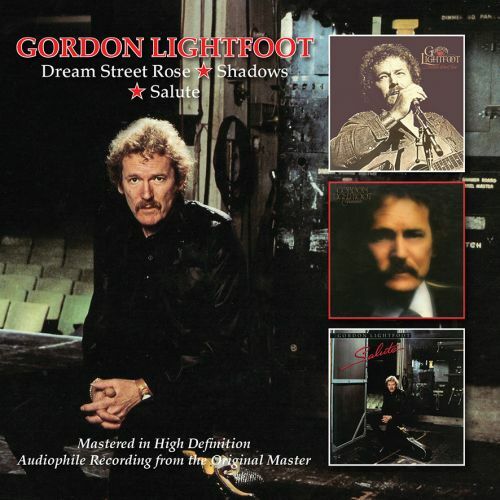 In 1999 Rhino Records released Gordon Lightfoot Songbook, a four CD boxed set of Lightfoot recordings, and a long overdue tribute to one of the greatest singer/songwriters that ever lived. Read a review of Gordon Lightfoot Songbook and check out the complete Gordon Lightfoot Songbook track listing. 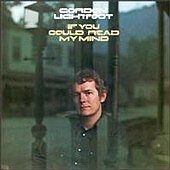 In April 2002, Rhino released Gordon Lightfoot Complete Greatest Hits. This album is a wonderful collection of his hits, and brings together the four biggest onto one album for the first time. The remastering and packaging are exquisite as well, as is characteristic for Rhino. Complete Greatest Hits quickly went gold in Canada, and can be expected to eventually go gold in the US. You can read more about this collection here: Gordon Lightfoot Complete Greatest Hits. In April, 2000, Lightfoot taped a live concert in Reno, NV. A one hour show was broadcast by CBC in October, and a PBS special was aired on many PBS stations across the US. PBS stations offered a videotape of the concert as a pledge gift, and a tape and DVD were released in 2001 and early 2002 in Europe and North America. This video, Gordon Lightfoot: Live In Reno is the first Lightfoot concert video ever released. For additional information, click here: Gordon Lightfoot: Live In Reno video. There's a new import 2 CD set with the three original albums from the early 1980s, all of which are out of print and very difficult to find. They are Dream Street Rose, Shadows and Salute. In this new set, the first CD contains the first two albums; the second CD contains just the third album. I am excited to have this set available for purchase from my store: Buy from Val. This is a UK import, so UK fans might want to buy from Amazon UK, where the price and shipping are probably better for you. Lightfoot's legacy is thankfully still being written, as he continues to write and to tour (read more in my 2002 interview with him here). In a career spanning more than 45 years, he has recorded over 200 songs, and written many more. He has influenced the sound of other highly successful artists who have credited him as a major influence (for example, Dan Fogelberg, Jimmy Buffett, Jim Croce and Ron Sexsmith). If you only know Lightfoot for his hits, then you are missing a lot of the treasures. If you like music, just about any style, you are sure to find a favorite song among the many he has written and recorded. Bob Dylan calls Lightfoot one of his favorite songwriters. He is certainly my favorite. Perhaps he should be yours? Buy a copy of an out of print biography: read more.